How to use the same WhatsApp account on two smartphones at a time: Until few applications came into existence, it was merely impossible to run two WhatsApp numbers on a single device. Similarly, until WhatsApp web showed up, running same WhatsApp account on two smartphones was not possible. Although WhatsApp web is only meant for desktop users, you need to keep your cell phone connected to the internet for using the web version. WhatsApp is also used on tablets and for using the web version; you have to install a browser that can support the desktop mode. One of the demerits of WhatsApp is that every WhatsApp account is linked with a single phone number and thus, could be used only on one phone at a time. Since WhatsApp on any one phone periodically checks if the number being used is active or not, if the number doesn’t match, it will ask you to re-verify the number for using it again. Hence, multi-purpose use of one WhatsApp account on two smartphones simultaneously doesn’t work. But, there is a cheat code. You should know that it isn’t an official way to do the same. This is the easiest way to have same WhatsApp account on two smartphones simultaneously. Even though it isn’t an elegant way, it works. You are only required to have an active internet connection on your second phone. Open the internet browser on your second phone, on which you wish to use WhatsApp. Go to web.whatsapp.com. On your mobile browser, it will automatically take you to the WhatsApp home page. Click on the browser options and select ‘Request Desktop Site’. [Different browsers have different places where you find request desktop site button] Usually there will be three lines on the top-right corner of the screen. 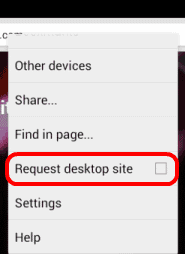 When you tap on ‘Request Desktop Site’, it will open the desired Web Page. A QR code will be displayed on this page. On your first phone, on which the WhatsApp is installed and running, go to ‘Settings’ and select ‘WhatsApp Web’. Ensure that you aren’t using WhatsApp Web on any other browser. Once you select WhatsApp Web, the OQ scanner will fire up. 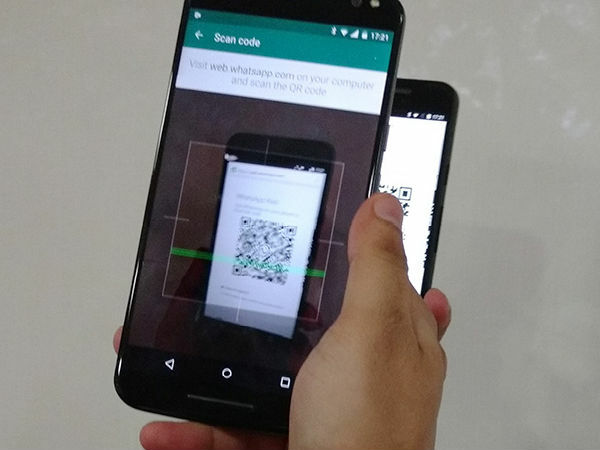 Now, scan the QR code displayed on your second phone with the WhatsApp installed on your first phone. This will automatically login with your same account on the WhatsApp Web of the second phone. You are now able to use the same WhatsApp account on two numbers at a time. Well, you should know that this method can be only used on only one extra device. (One your primary phone on which the WhatsApp is installed and one other phone). Since the interface isn’t for mobile use, you wouldn’t get notifications. For a fuller view, you will have to switch to a landscape view.